Thursday, March 7th, 2019, 6 p.m.
Join Coach and New York Times bestselling author Cheryl Richardson for a night of Midlife Magic! 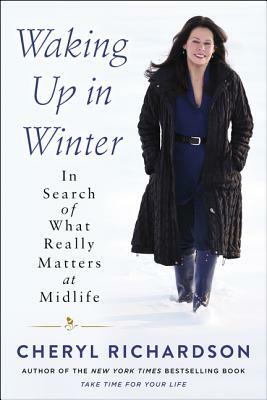 Using on-the-spot coaching, material from her latest book, Waking Up in Winter: In Search of What Really Matters at Midlife, and wisdom gained from conversations with audiences around the world, Cheryl will offer new ways to think about the exciting journey of midlife. Can't make this event? Give us a call (603-224-0562) or email (gibsons@gibsonsbookstore.com) and we'd be happy to put aside a copy to be signed for you.